For the past couple of days, I have been dusting off my sketching skills! Though I was an art major in college, I am more crafty than artistic. 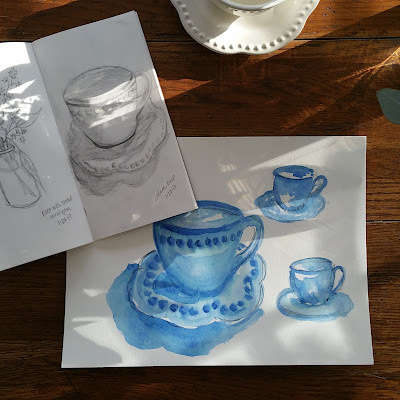 I've always wanted to do better at sketching and watercoloring and the only way to get better is to actually practice. 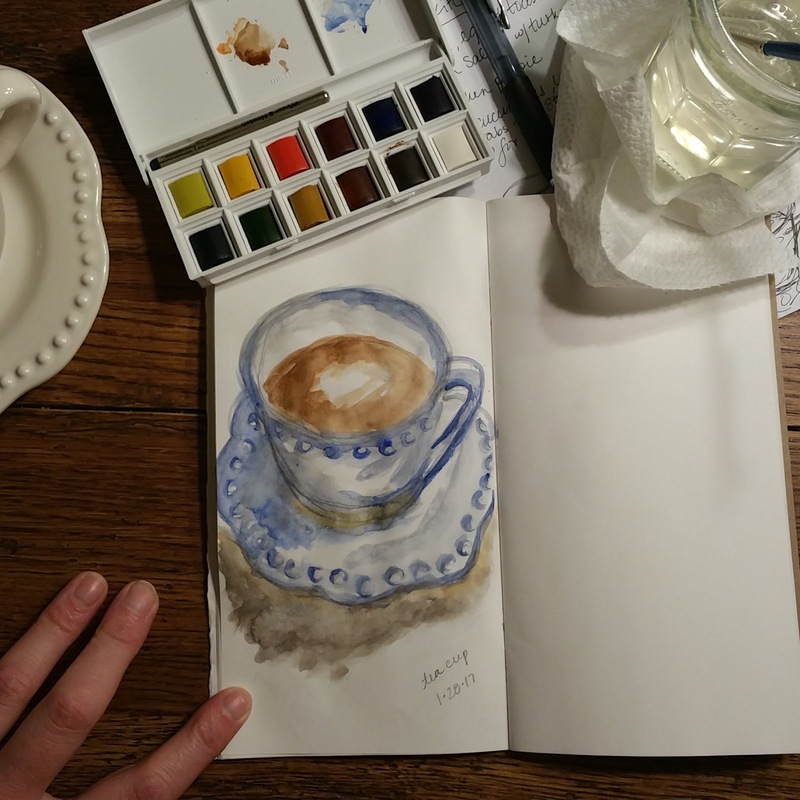 I'm trying to do a daily sketch with a bit of watercolor when I can. 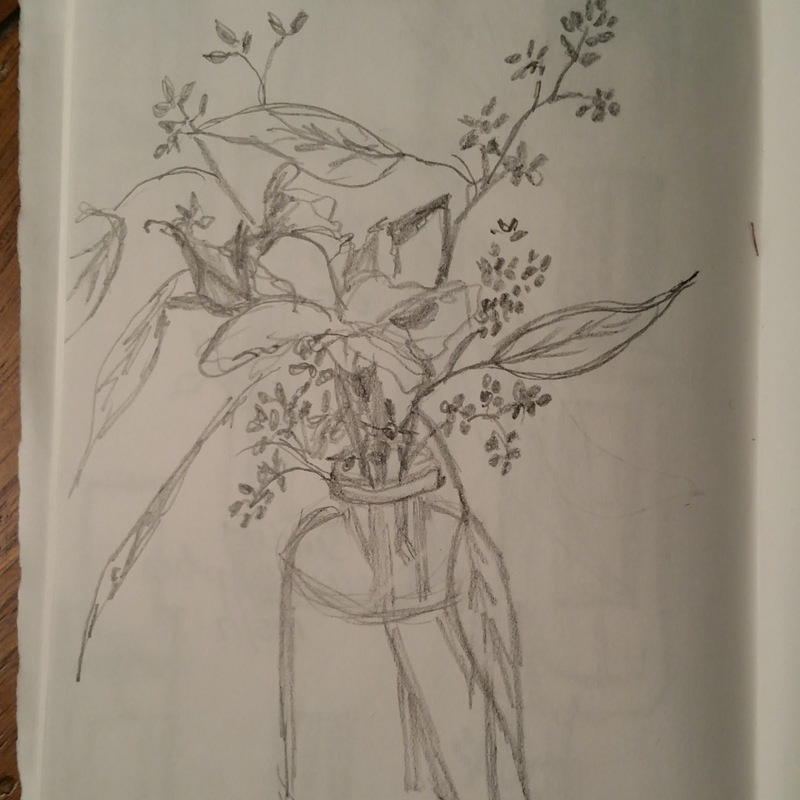 I'll be using Liz Steel's Foundations course, blog, and instagram account to help improve my drawings. Hopefully, there'll be a marked improvement in my work as time goes on!